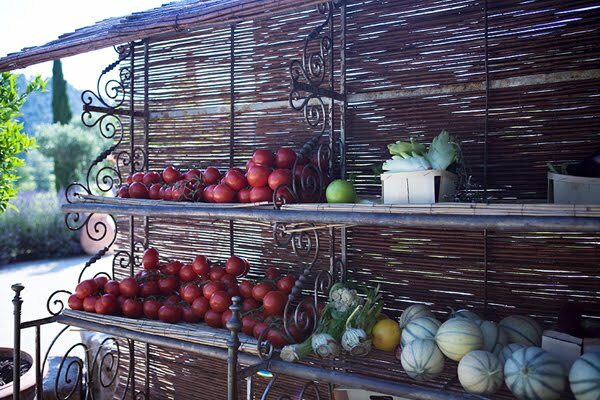 During the summer I spent a weekend in the Luberon doing research for an article. 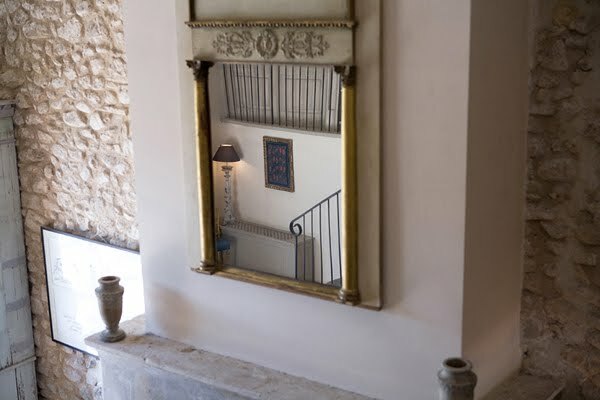 Part of the research involved visiting a Provençal country hotel - La Bastide de Marie. It is Peter Mayle country and in fact, is not far from the surprisingly unspoilt Ménerbes, the village which he wrote about in 'A Year in Provence'. 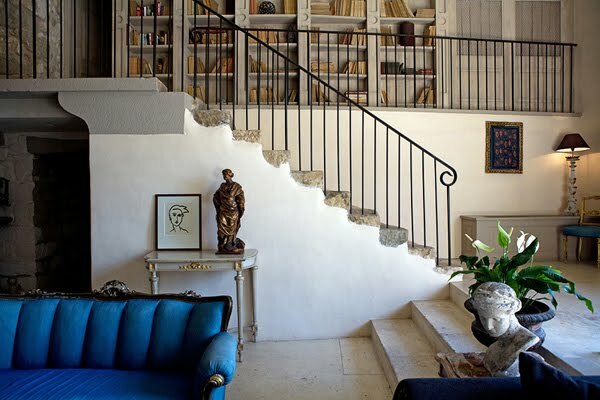 La Bastide de Marie is luxurious, in an understated Provençal kindof way. 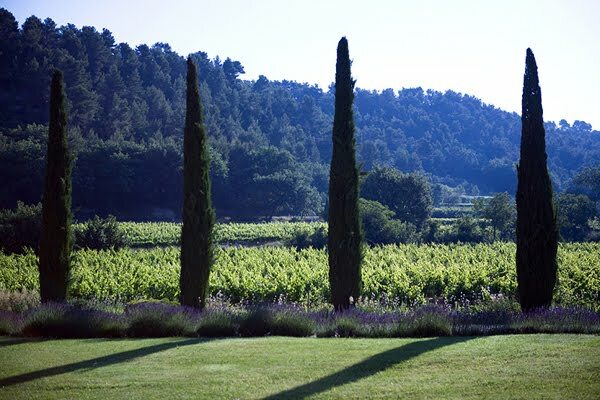 It's set amongst a vineyard, with views looking out to the Luberon hills. 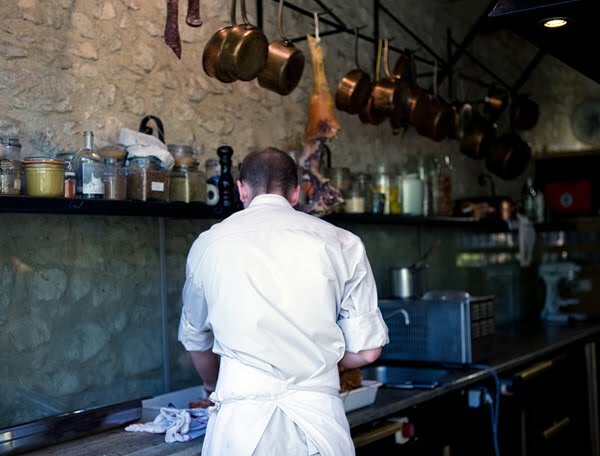 The kitchen is open and airy. 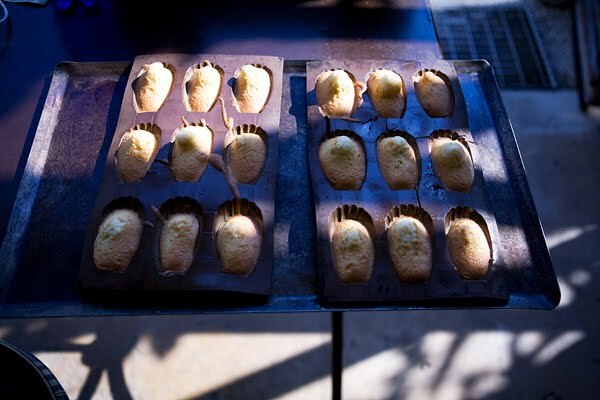 In fact the morning I was there, a freshly baked tray of madeleines was cooling outside the kitchen, wafting delicious smells over the guests eating leur petit dejeuner in the morning sun. 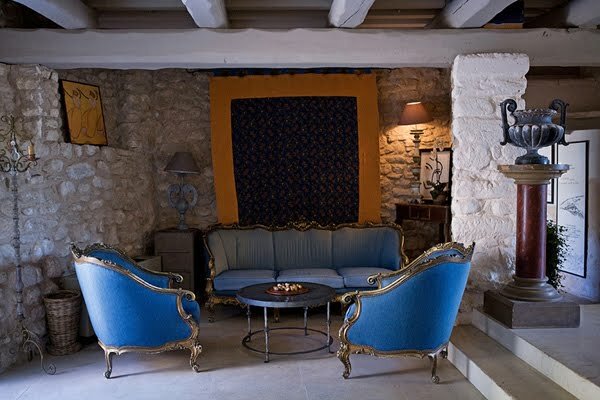 It was relaxed & friendly and reminded me of similar upmarket hotels set amongst working vineyards, in New Zealand. Ah, that is gorgeous. I love you blog, it's interesting with the different subjects and travels and a bit of everything - my taste of a blog. 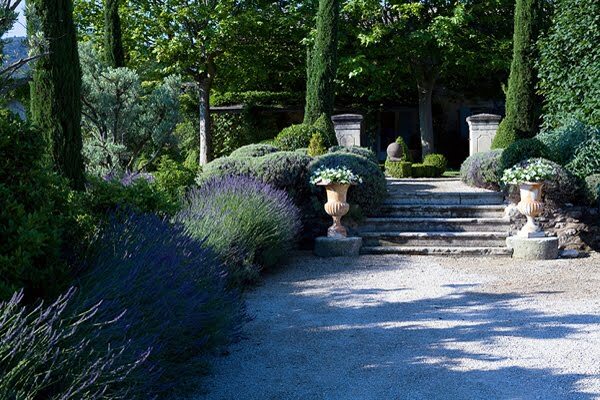 Oh I know this place - at least I've driven past it several times and just, well stared and drooled - we usually go on holiday in Lourmarin, just down the round from here. Got your message, haven't forgotten! great place. that kitchen and the madeleines and that light...sigh! beautiful photos. Such beauty, I'm always inspired when I peek in here :) Thanks for this (loved your descriptive text too). I don't often miss California, but that lavender -- and the grey-greens and blues of mediterranean plants -- does it to me. And the light, which you always capture so beautifully, Mary. What an amazing job you have! 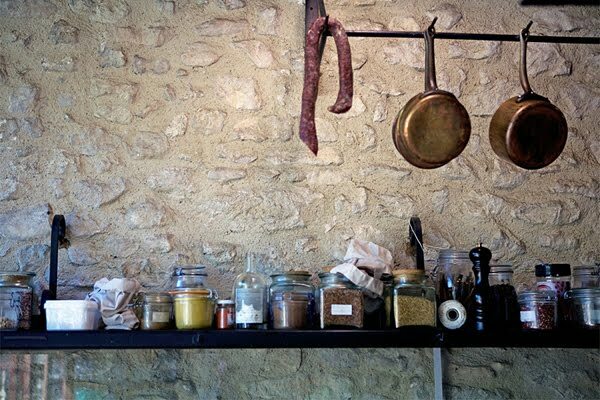 Love those copper pots hanging up in the kitchen. And you're right about those vineyards looking like those in nz. That shot looks just like one I took in Napier; church road. what i wouldn't give right now to go there! it's nice to hear that ménerbes is unspoilt, i always wondered if it would get overrun with idyll seekers. charlotte - well we did go early in the morning for breakfast, so it was before the crowds arrived. people were relaxed & friendly. unlike Gordes -which is a real tourist trap! great shots... as always. looks like a lovely place. the light in these is to die for. I loved the tour! Your pictures are beautiful.